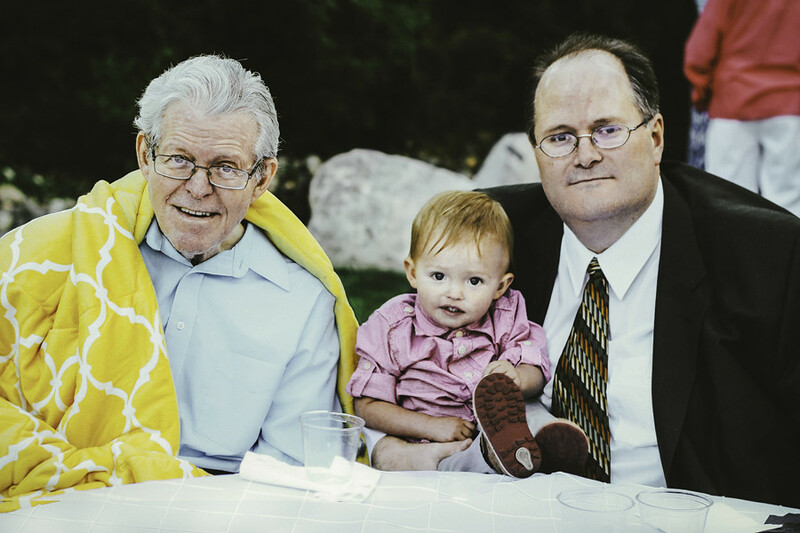 This is my favorite picture of My Grandpa, Dad, and Zaden. I shared this scripture when my Grandma Warner passed away 2 1/2 years ago. This scripture brings so much peace and perspective for me when a loved one has passed on. 11 Now, concerning the state of the soul between death and the resurrection –Behold, it has been made known unto me by an angel, that the spirits of all men, as soon as they are departed from this mortal body, yea, the spirits of all men, whether they be good or evil, are taken home to that God who gave them life. I'm so happy I was able to form such a strong relationship with my grandpa while he was here on this Earth. I'm also so grateful that Zaden was able to bond and spend time with my last living grandparent, his "papa". Grandpa you will be missed and I look forward to the day I get to see you again. I'm so sorry for your loss! My grandmother just died on December 1st at 72 years, she was the light of my life. That scripture made me think she is in a better place now and I hope we will meet again one day.